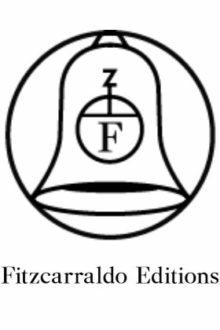 The Fitzcarraldo Editions Essay Prize, an annual competition for unpublished writers, opens to submissions on 1 January 2019. Initially made possible by an Arts Council grant in 2015, the prize awards £3,000 to the best proposal for a book-length essay (minimum 25,000 words) by a writer resident in the UK and Ireland who has yet to secure a publishing deal. Submissions are open from 1 January to 1 March 2019 and will be judged by an editorial committee composed of Joanna Biggs, Brian Dillon, Joanna Kavenna, Paul Keegan and Jacques Testard. The judges will be looking for proposals for essays that explore and expand the possibilities of the essay form, with no restrictions on theme or subject matter. In addition to the £3,000 prize, which will be in the form of an advance against publication with Fitzcarraldo Editions, the winner will have the opportunity to spend up to three months in residency at the Mahler & LeWitt Studios in Spoleto, Italy, during the summer of 2019, to work on their book. The book will then be published by Fitzcarraldo Editions.